Adventure Subaru is proud to sponsor great community events like the Square to Square ride, coming up this weekend. Come dance and sing in the forest! Fall Forest Concerts every Saturday from Sept 8-Oct 6 @ Crystal Bridges. 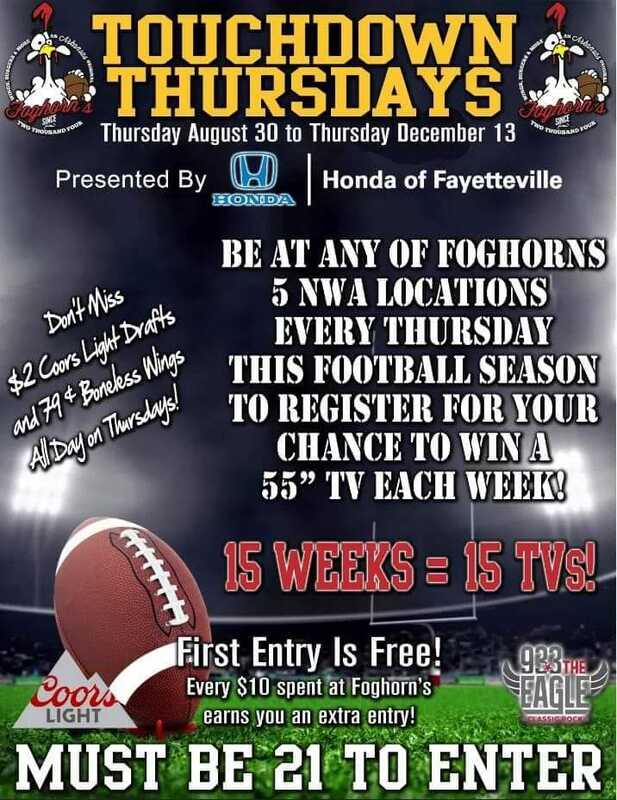 Enter to win a 55” TV every Thursday with Touchdown Thursdays every week at Foghorns! More info. Grub’s is now serving Sunday Brunch! Check out the menu here. You know what is better than brunch? Trick question, nothing! Stop by JBGB on Saturday’s or Sundays or both and enjoy our brand new Brunch Specials, from 11am to close! Feeling a little bit dead? The Corpse Reviver No. 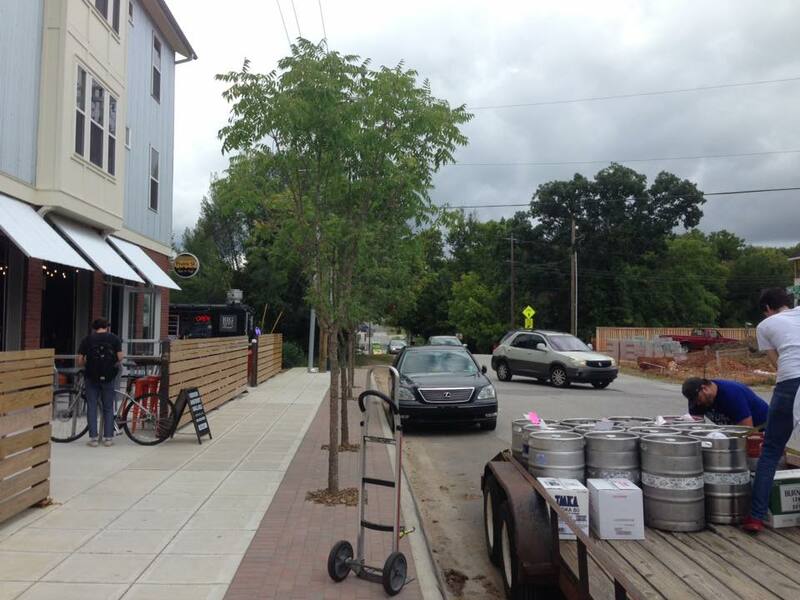 2 from Maxine’s Tap Room can help. Ozark Natural Foods’ 5th annual Tour de Farms event is coming up Sept. 22! Click for details. TheatreSquared’s hit show “Once” concludes its run this weekend at Nadine Baum Studios! Get tickets. Legendary country artist Alan Jackson will perform at the Walmart AMP Saturday night. Brunch items from Southern Food Co! Beer cheese soup is back at Hugo’s! This is not a drill. Need food for your Razorback tailgate or watch party? Pick up a family pack from Lucky Luke’s! Homemade onion rings are available every day at Penguin Ed’s historic B&B location! Where will you watch the Hogs this weekend? You know the game will be on at Sassy’s Red House! 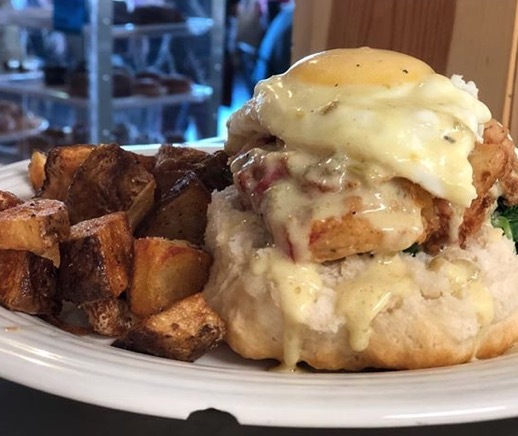 UA students get 25% off breakfast every Fridays w/ ID at Southern Food Co! More specials. Get Chicken & Waffles for just $5.99 all day every Wednesday at Slim Chickens! Taziki’s will donate $1 to Arkansas Children’s Hospital for every check-in at their Fayetteville location this month! This 2 bedroom, 1.5 bath condo unit in Bella Vista is just $89,000 from Flyer Homes! Are you earning interest on your checking account? You could be getting 2.018% with the Max Checking Account at First National Bank of NWA! 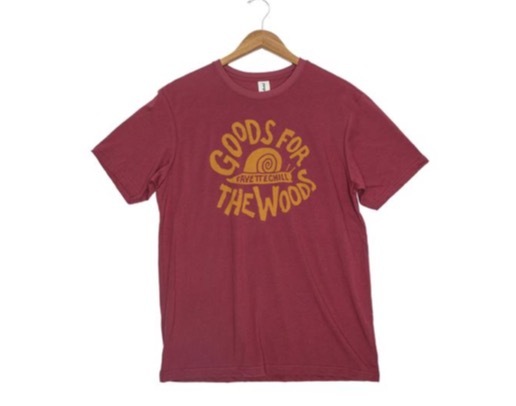 One of several new tees from Fayettechill! Adventure Subaru is proud to sponsor great community events like last weekend’s Fayetteville Roots Festival! Save $50 on a Stihl chainsaw this week at Right Choice Outdoor! More deals. Razorback football season is here! Shop Something Urban’s game day looks in-store and online! Underwood’s just unveiled a new collection of gold fashion jewelry. Just look.